The new Mohave operating system is loaded with great features. Let’s look at two of them that will help you make better visual presentations. 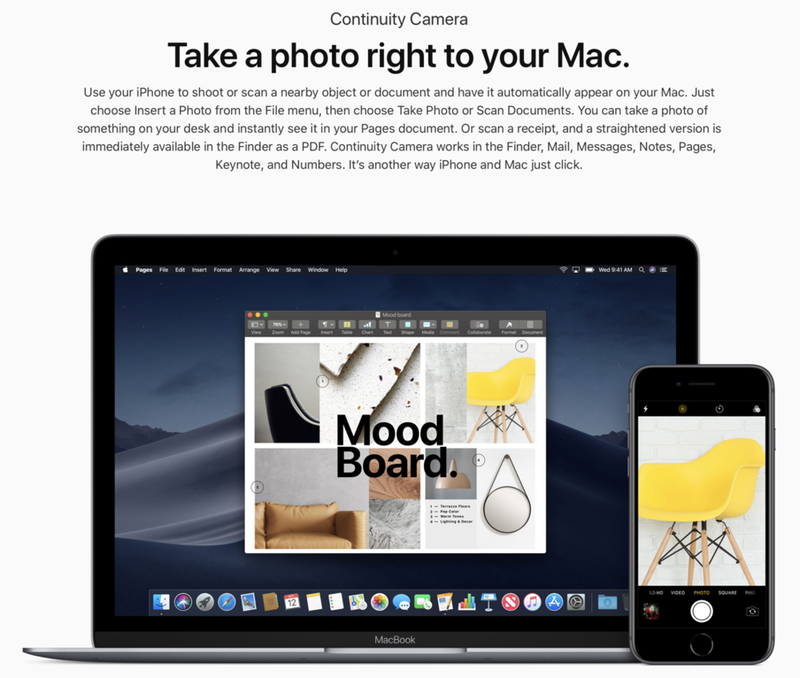 When building a presentation, wouldn’t it be convenient to be able to take a picture or scan a document with your iPhone and immediately have it appear on your laptop? Camera Continuity, a feature built into Mohave, allows you to do just that. Take a picture or scan a document with your iPhone and have it show up immediately on your laptop. 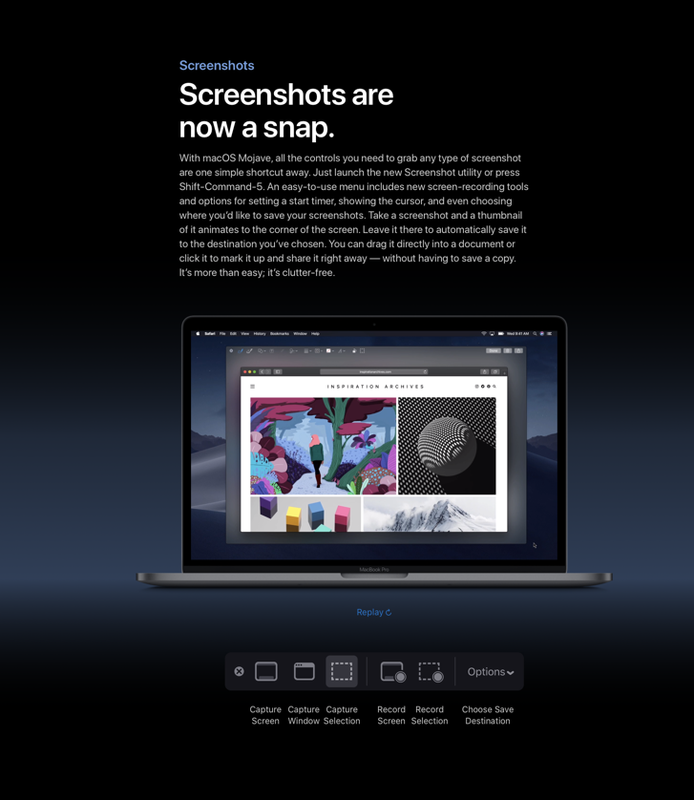 Mohave now has a built in screen capture tool that allows you to capture both images and videos, edit them, and immediately save them for use in your presentations. This is similar to the functionality of Snagit, a program also discussed on this site. Give this a try by simply clicking Shift+Command+5, which creates a resizable window and brings up the tools available to capture what is on your screen.